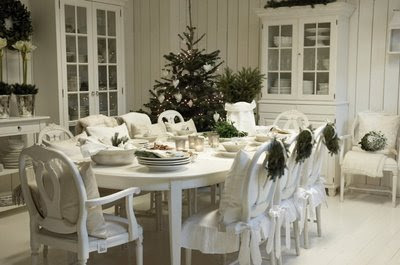 Why do we love using white for the holidays? Perhaps its the way it sets off the table setting or the tree, or decorations in such a way that makes everything look fresh and magical. 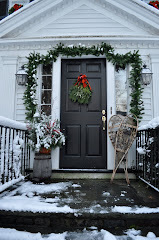 Here are some of my favorite holiday decorated rooms. Some of these photos I have been saving for years and may not remember where they came from. If you recognize any as your own please let me know so I can give credit to these wonderful images. 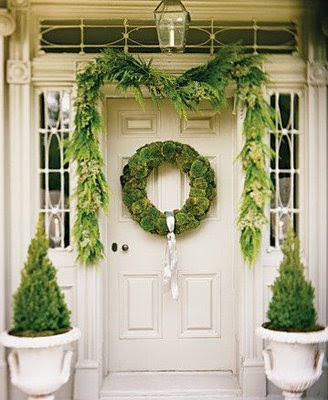 Above, an entry way with fresh greenery and a moss wreath. Cast iron urns and small trees add to the wonderful mix of textures. 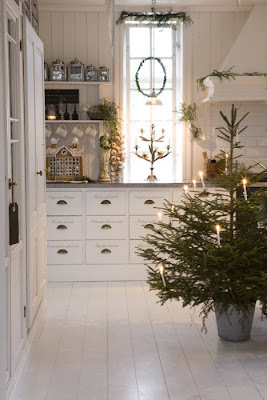 A small tree decorated in the traditional Scandinavian style with real lighted clip on candles. Windows adorned with fresh greenery and a gingerbread house on the counter. I love the warmth and simplicity of this room. What a beautiful dining room! I love the small flowers at each place setting. 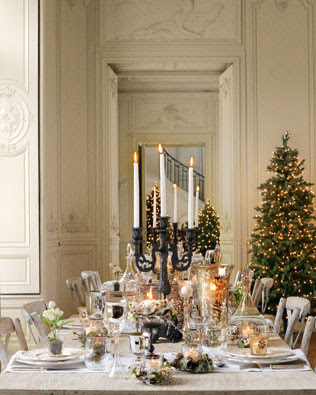 I also like the way the three trees, only adorned with white lights, bring your eye out of the room. 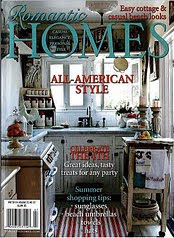 They add a simplicity to the what could be a very formal and fussy space. Perfect for a cozy holiday breakfast. Just the right amount of decorations. Notice the pine-cones and fresh greenery. This is a simple look to duplicate in your own home. All you need is a white tablecloth, a linen topper and them some items found in your back yard. Don't forget the candles! Austere, but very chic. Not necessarily something I would choose but I like the interesting tree and the how it adds so much texture to the room. Another more modern look, but also lovely and elegant. The wonderful chandeliers add drama. I especially love the angels. A simple spray of white paint or spray snow transforms the ordinary into extraordinary. Is this bark or linen? 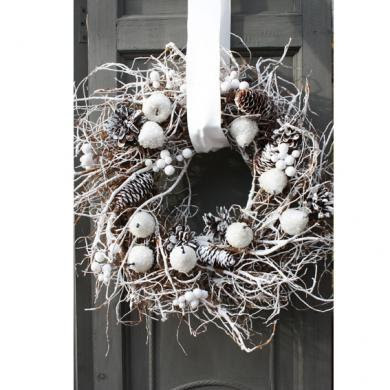 Either way, with the branches and the berries it had a wonderful unusual texture and makes a unique wreath. 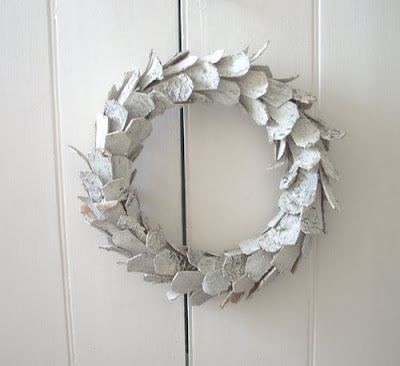 Two more white wreaths-both simple and beautiful. Finally - a sweet vignette that you can do anywhere in your home. 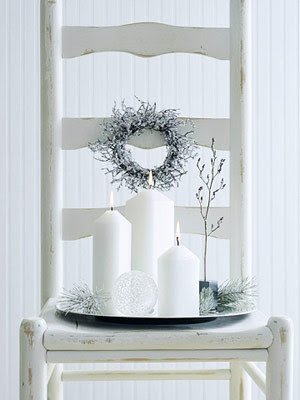 Just find a small chair, add a tray or plate with candles and some greenery and at tiny wreath - viola ! 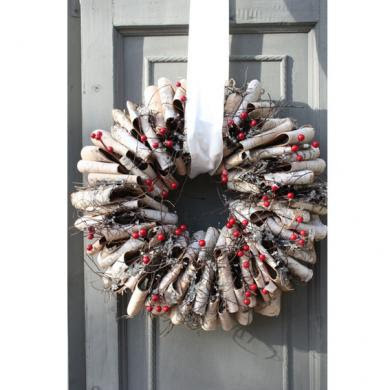 Simple, lovely decorations to lift your spirit! Gorgeous, gorgeous pictures, full of wonderful ideas!! Thanks for sharing! Quite the loveliest post of the Season Gina! You know you mentioned one word that speaks to me perfectly about why white works so well for our Festive decorating-simplicity. 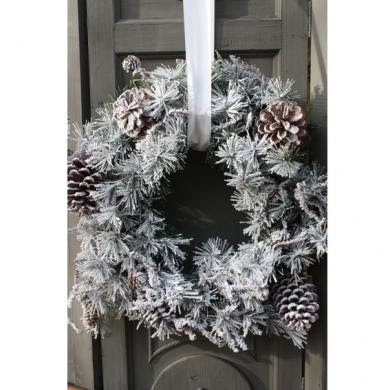 White acts as a wonderful back-drop for the traditional greenery of the Season & all our little Christmas treasures. A beautiful post, so thoughtfully composed - thank you. Just Beautiful, You have some of the most beautiful images of Christmas. I just love white as well! so beautiful -!!!!! that's from IKEA??? Those are so pretty - I wish I had the self-restraint for all white! Ikea... hmm... maybe time for a quick road trip! Thanks for the sweet post! I also would like to add you to the "Inspiring Yayas" if that is okay? 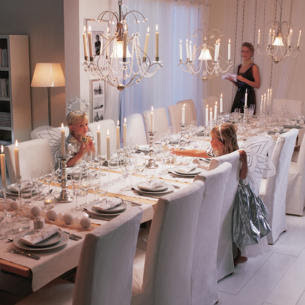 I can never get enough looking at rooms filled with WHITE. The pictures are just fabulous..Thanks for sharing. Just lovely. And white looks so wonderful at night. These are all stunning. Wishing you a Merry Christmas, filled with those you love. Love all the white. Amazing how much variety there can be using it. Love the pictures. 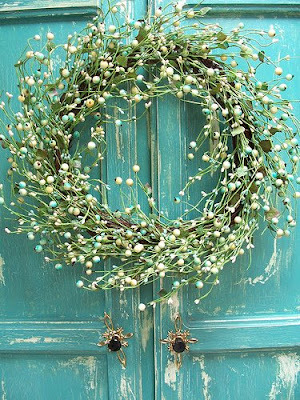 holy moly...........these wreaths are incredible. 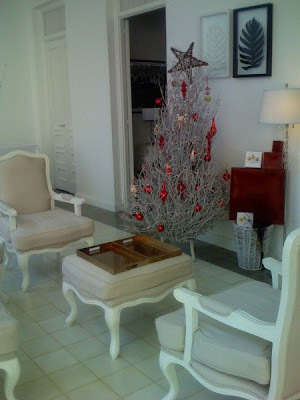 Wish I had seen this before the holidays although I don't know how I would find the necessary makings in Marrakech! Beautiful images. Gina, thank you so much for sharing with us. Yes, something about the whites and mixed in with the greenery etc. Lovely! Just found you via Things That Inspire where you were mentioned. I found this post when I was searching online for "wreaths on the back of dining room chairs." 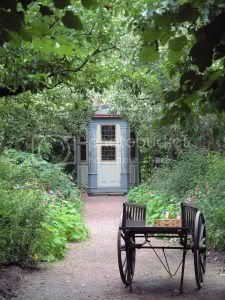 Your pics are beautiful and I am glad I linked this to my blog so that I can come back for inspiration!